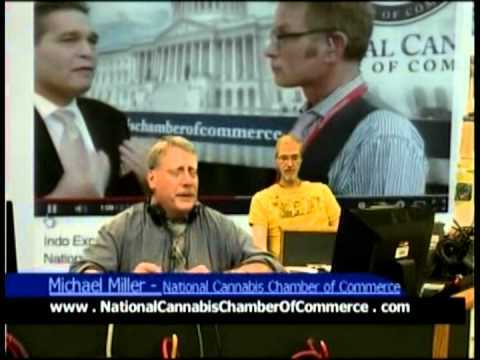 Michael, I greatly appreciate our discussion yesterday about your appearing by phone later today (Thursday March 19, 2015) at 3:30 PM (Denver Time) to help to introduce the National Cannabis Chamber of Commerce to our Northwest AllDayLive viewers thereof, for later broadcast this next week. 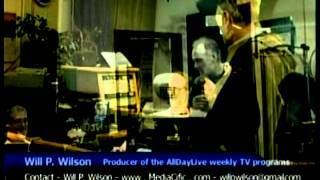 and the televised programs are archived at - https://archive.org/search.php?query=alldaylive - http://seattlecommunitymedia.org/node/18550/list-shows and broadcast on Northwest cable channel 77/23. I would like to have you describe to our audience the National Cannabis Chamber of Commerce programs as a summary of the program's future and to present the key people and to mention some of the key membership and contributor programs and the strategic plans for the implementation and the development of membership benefits in all of the States, the Counties and the Native American Communities and Jurisdictions. I want the Northwest Cannabis Medical and Commercial industries and thereof, all other related communities to become more acquainted and to then be better familiarized to the National Cannabis Chamber of Commerce programs that will be quickly transcending here in the Northwest and throughout nation. That these transcending broadcasts will be playing a key part in all future legislation nationwide and all future media coverage. I present URL linked related web sites in the background and contact referenced information and program content descriptions at the bottom of the screen during the pre-recorded program. It is important to have the AllDayLive TV program to help in the building and the expansion of a substantial Cannabis Chamber Commerce membership participation here in the Northwest at this time. That this broadcast interview with you today that will be pre-recorded at the Seattle Community Media (The Media Department at North Seattle Community College) will be a beginning step toward our helping to build an extensive future media architecture for the National Cannabis Chamber of Commerce. Thereof, to participate in the helping and the inspiring of all media groups to begin to participate in the providing to all interested people and to all cannabis industry related companies to become more familiar with the National Cannabis Chamber of Commerce. Thereof, to begin to build an extensive future media system nationwide for the National Cannabis Chamber of Commerce. To help to inspire all media groups and presenters who at will be the future televised and radio broadcasting architecture participants who be producing future interviews, and broadcast presentations about the National Cannabis Chamber of Commerce. I look forward to myself, and my colleagues and our media students in our contributing to this endeavor for the National Cannabis Chamber of Commerce. Michael, the studio call in phone number at the college is: (206) 934 - 3941. Sincerely, Will P. Wilson, willpwilson@gmail.com - (206) 383 - 4817 -http://www.MediaCific.com - more then twelve years of broadcast, and several thousand televised programs. To Michael Miller, The National Cannabis Chamber of Commerce, (http://www.nationalcannabischamberofcommerce.com/) from Will P. Wilson, the producer of the weekly AllDayLive TV programs. Michael, here is the link to the first of four differently edited versions of our interview from last Thursday, and truly thank you for appearing on the AllDayLive TV program. I want to discuss with you about the future of our developing a nationwide media architecture that can and that may also include your considering (with my also helping you possibly. ), to begin to create and to broadcast your own daily one hour broadcast on cable TV and on-line, a Cannabis Industry report. A daily media report that will be as well, will be a compiled and archived media broadcast on-line and that will also include and be supported with Federal Copyrighting and linked media infrastructure. Thereof, a daily series of interviews with Cannabis Commerce, Legislative, Political, Judicial, Legal, Business, and Research experts. Thus, to create, to produce, and to broadcast and thereof, to broadcast a (National Cannabis Chamber of Commerce.) media system with the archiving of these Cannabis Community people and their statements. Thereof, interviews with key people and cannabis industry experts consisting of being the key and important business and cannabis industry leaders with there being also their media archived of their testimonies and their expert perspectives,. To now start and to build a National Cannabis Chamber of Commerce media system and infrastructure. To record the visions of the Cannabis Industry participants and to record their statements and their perspectives and their opinions and to thus record this for the record on the National Cannabis Chamber of Commerce broadcast nationwide. And, to record for the world and so that the world can begin to see how they can begin to participate in their helping to build the National Cannabis Chamber of Commerce in all States and Counties, and all Native Tribal Jurisdictions possibly and maybe eventually. To begin to architect a media infrastructure that will begin to help the Nationwide Cannabis Industry to begin to see and to hear from the Nationwide Cannabis Industry. Lasqueti is a secret Canadian island where the vast majority of residents are completely off-grid.